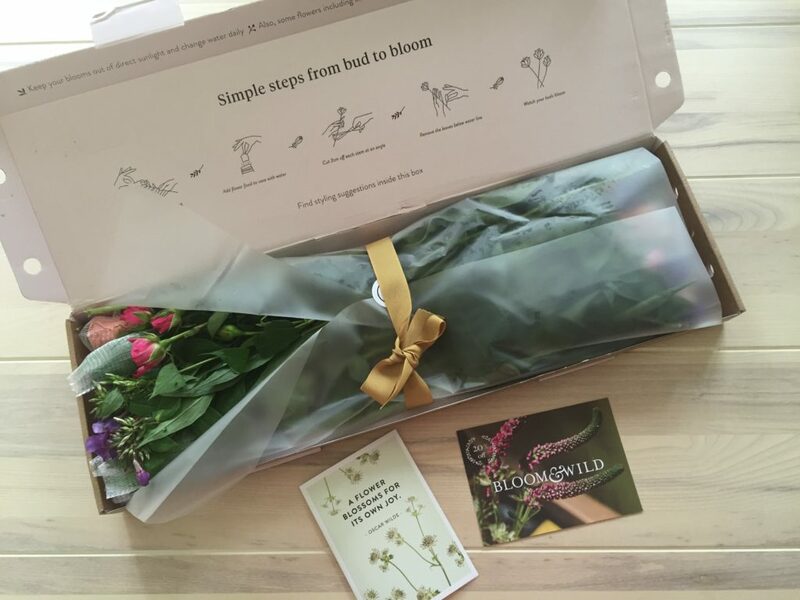 When Bloom & Wild sent me their gorgeous Anoushka bouquet with the brief to style it up as part of their ‘back to flower school’ campaign I was thrilled as playing with flowers is one of my favourite pastimes! 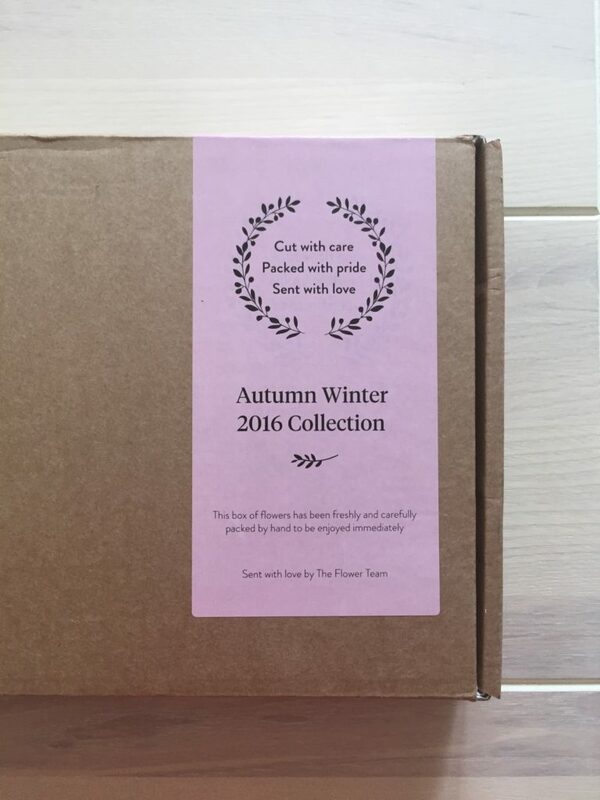 The flowers arrived beautifully wrapped in a box and I couldn’t wait to get started. 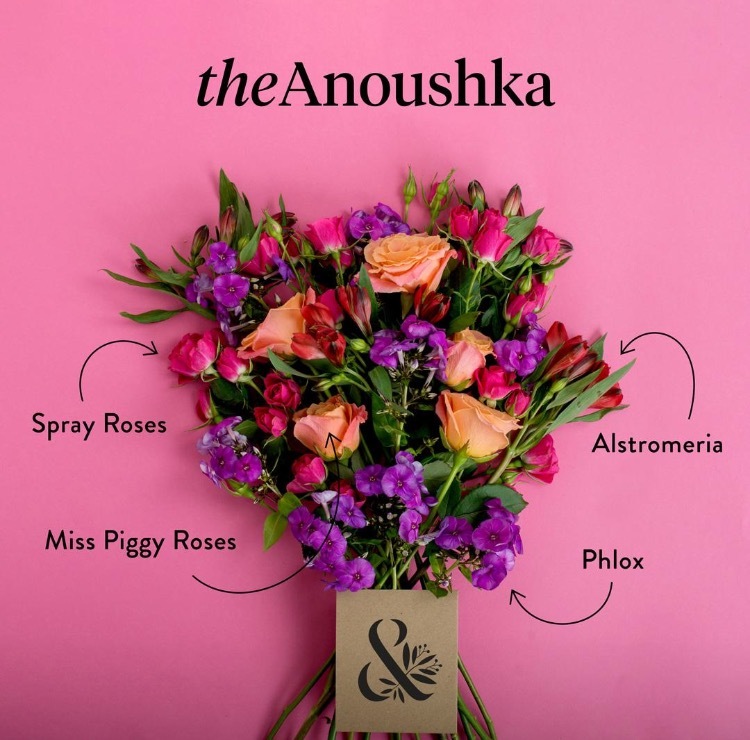 The Anoushka is made up of Miss Piggy roses, spray roses, alstroemeria and phlox. 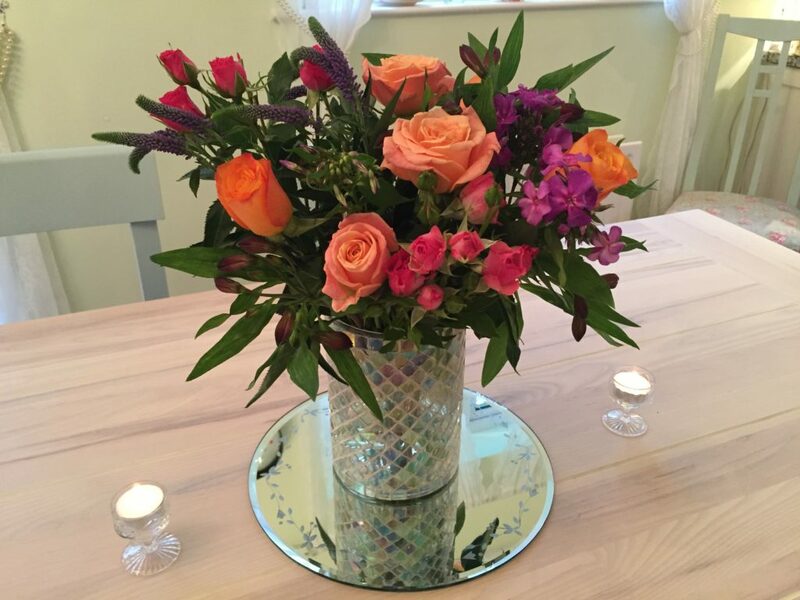 The colours are beautifully vibrant and looked stunning just arranged in a vase but I wanted to try something a little different with them to show how they would look as a centre piece for a tea party or indeed any special occasion. 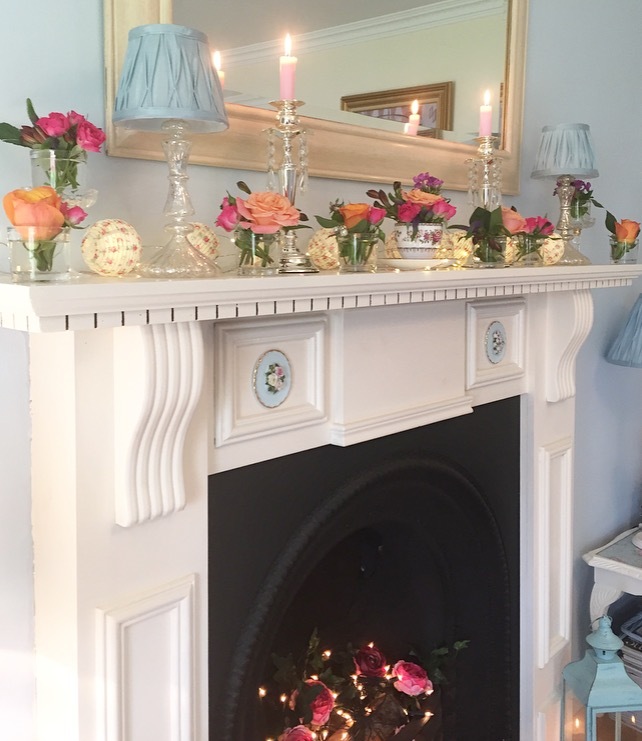 I wanted to create a wreath effect with a candle in the middle without actually using a wreath so used some little glass tealight holders on a mirror with a glass cakestand in the middle for a pillar candle to sit on. 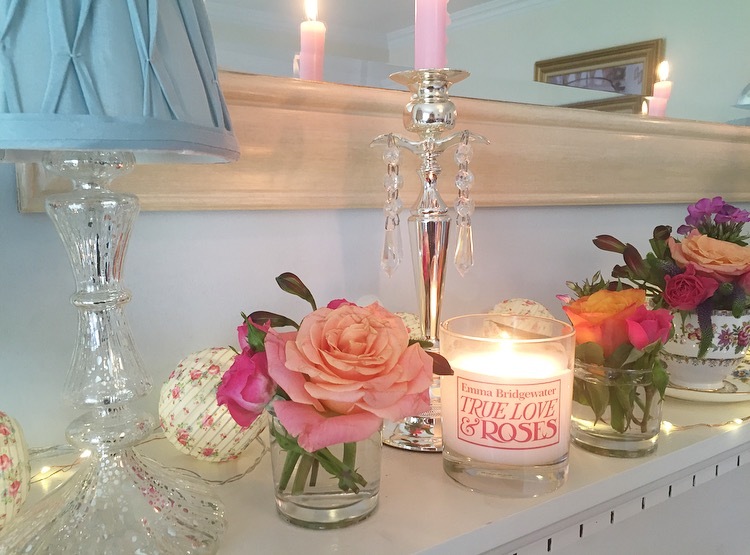 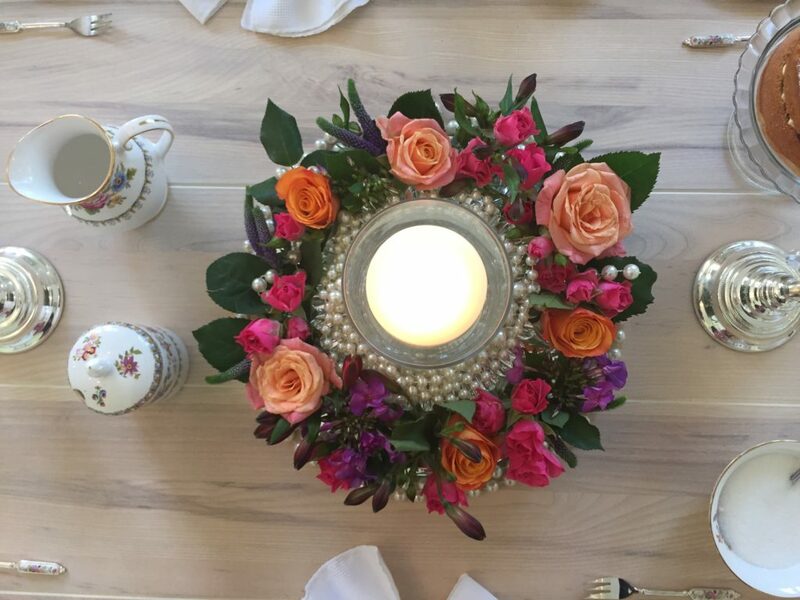 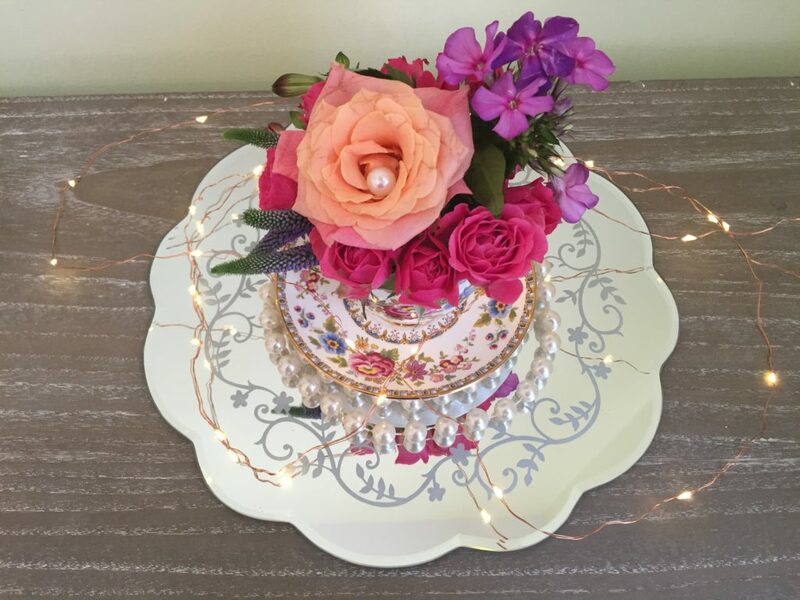 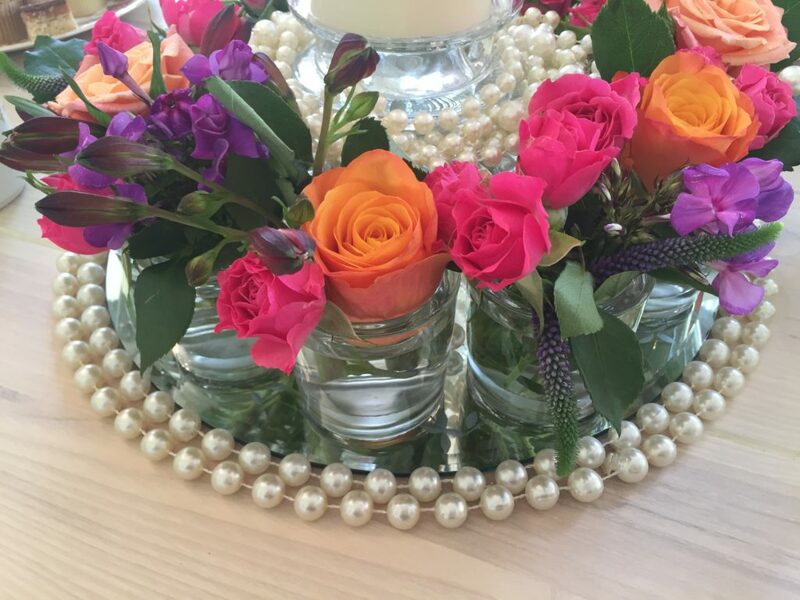 I then arranged the flowers in the glass tealight holders before sitting the candle on the cakestand and used strings of pearls to add glamour and finish off the look. 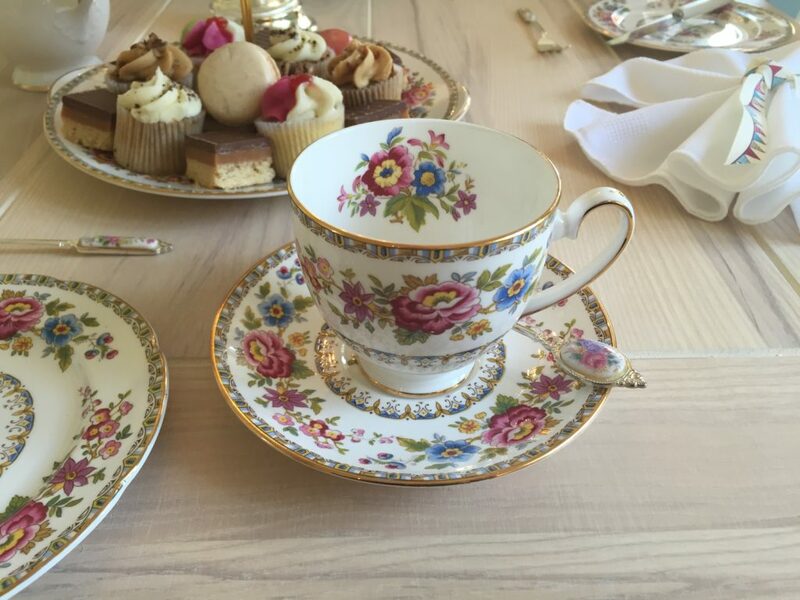 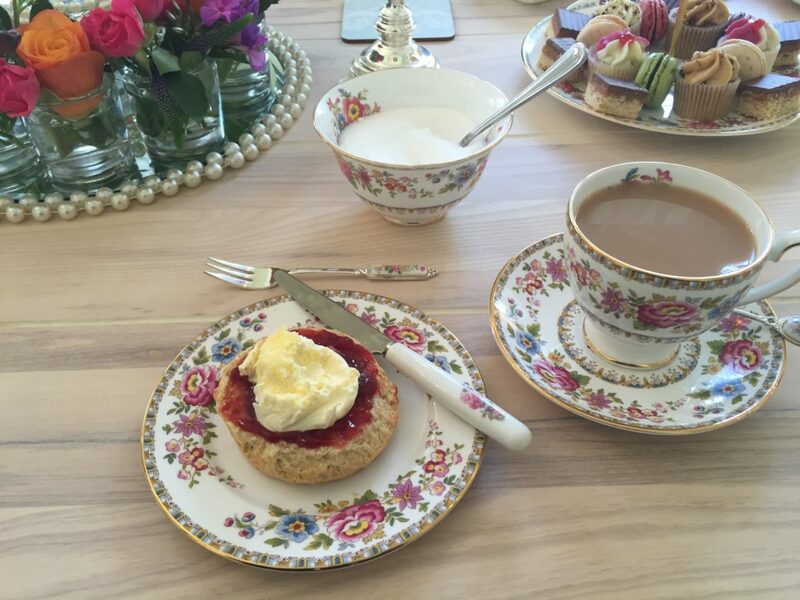 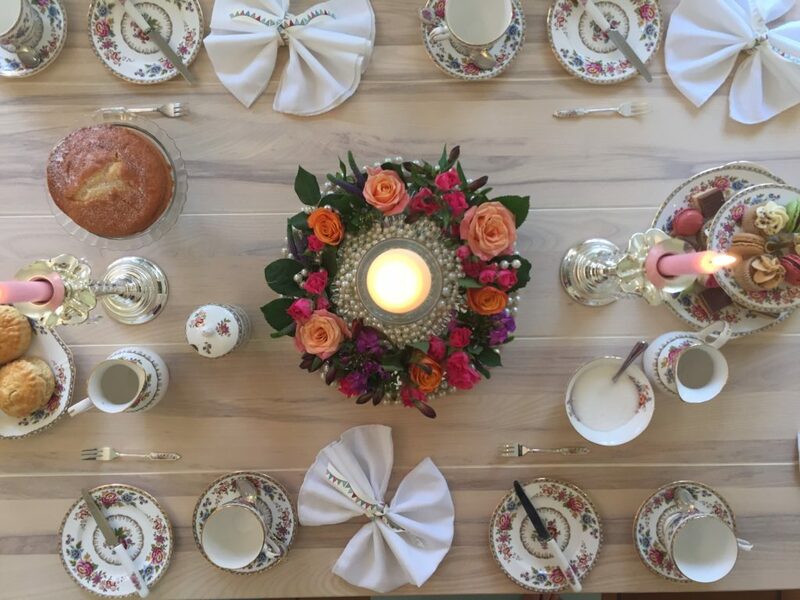 I usually work with lots of pastels from my vintage china collection but decided to use some of my Royal Grafton Malvern china to set the table as the florals on it reflected the vibrant colours of the gorgeous flowers in the Anoushka. 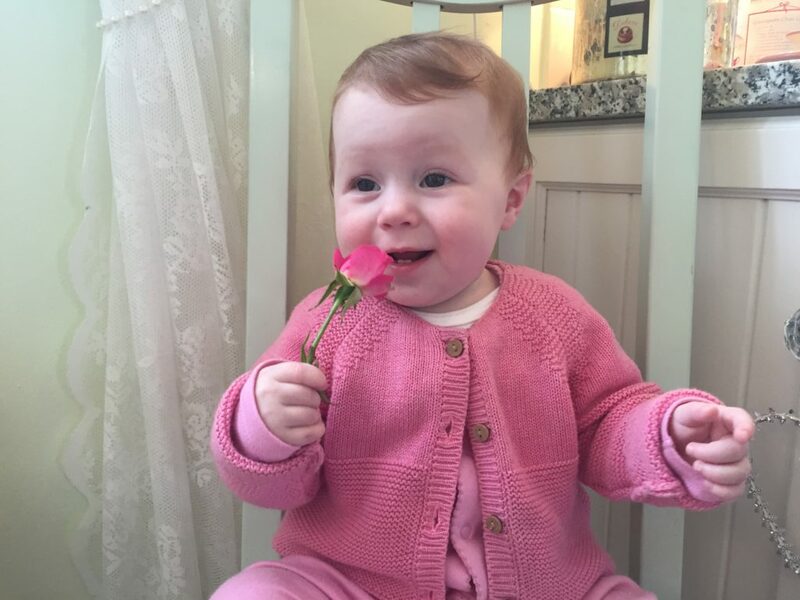 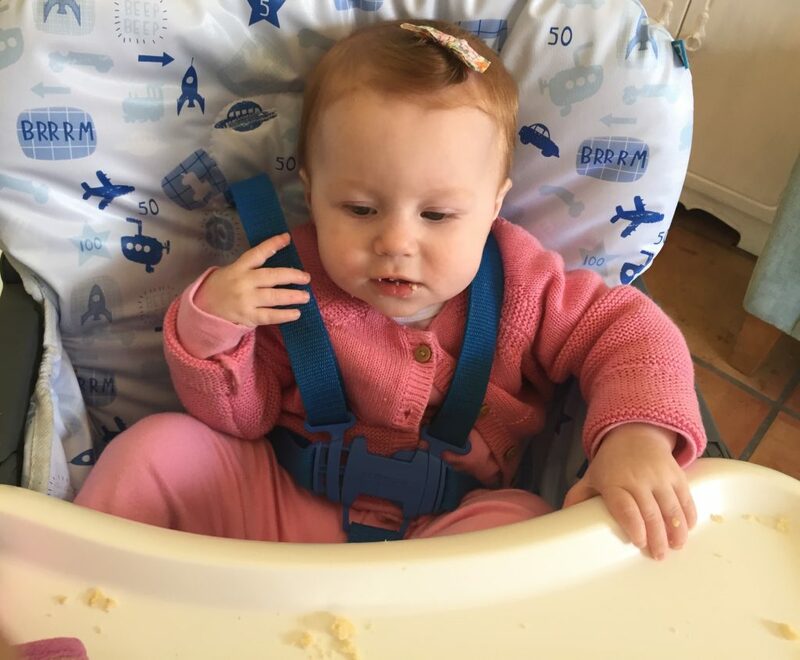 My granddaughter Lydia was the littlest guest and enjoyed both the scones and the flowers! 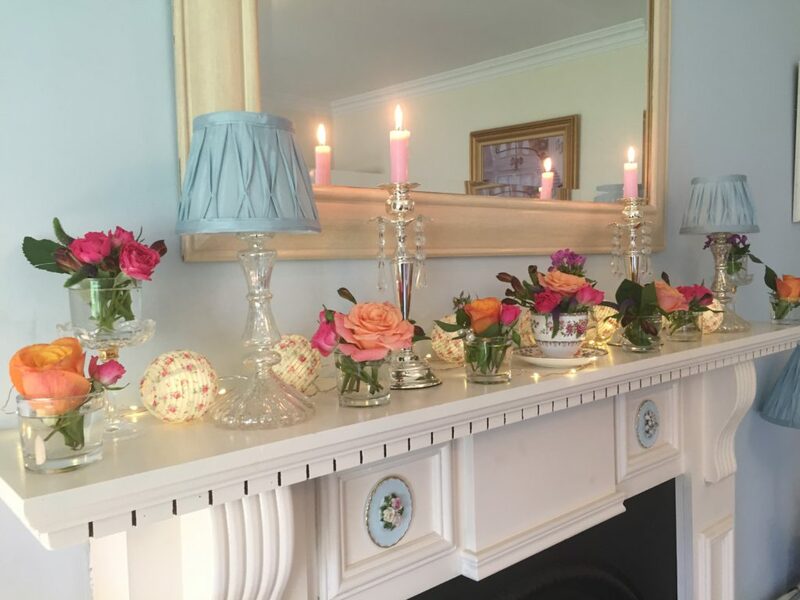 After we’d enjoyed our teaparty I moved all the flowers through to the mantelpiece in the living room where I can enjoy them for the rest of the week. 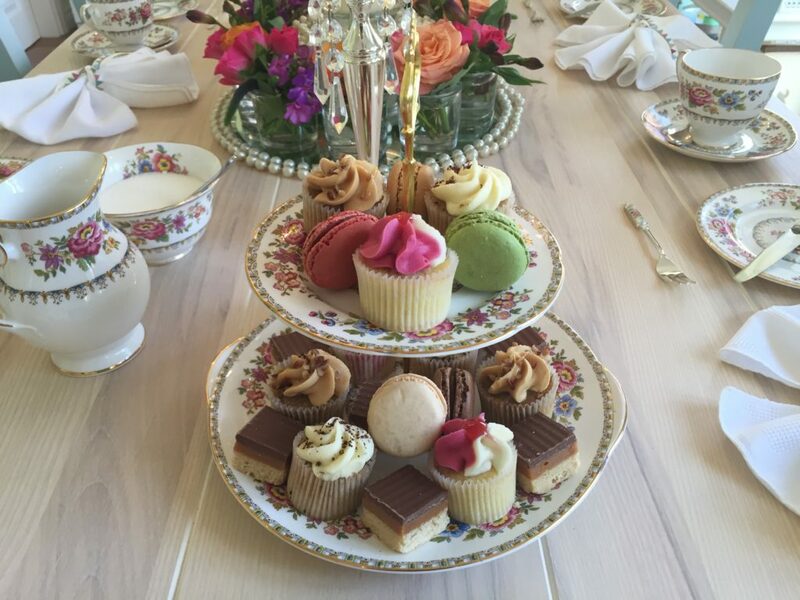 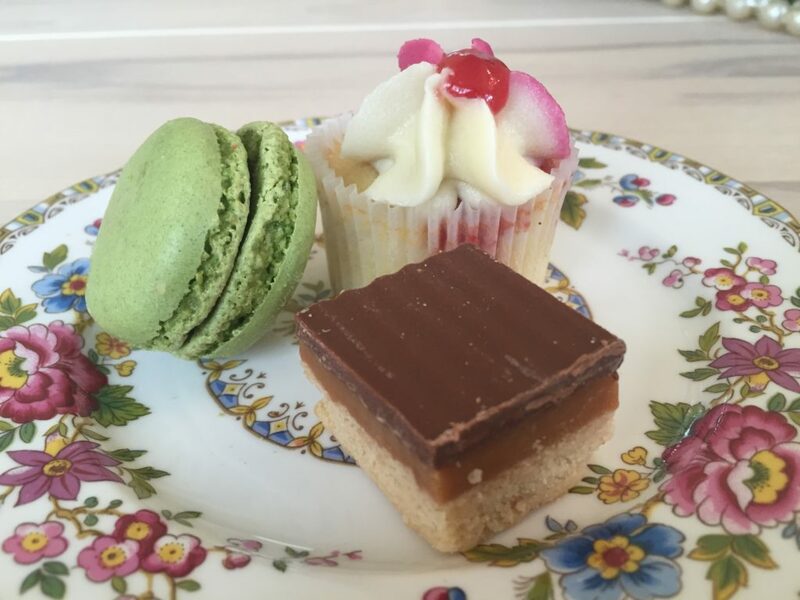 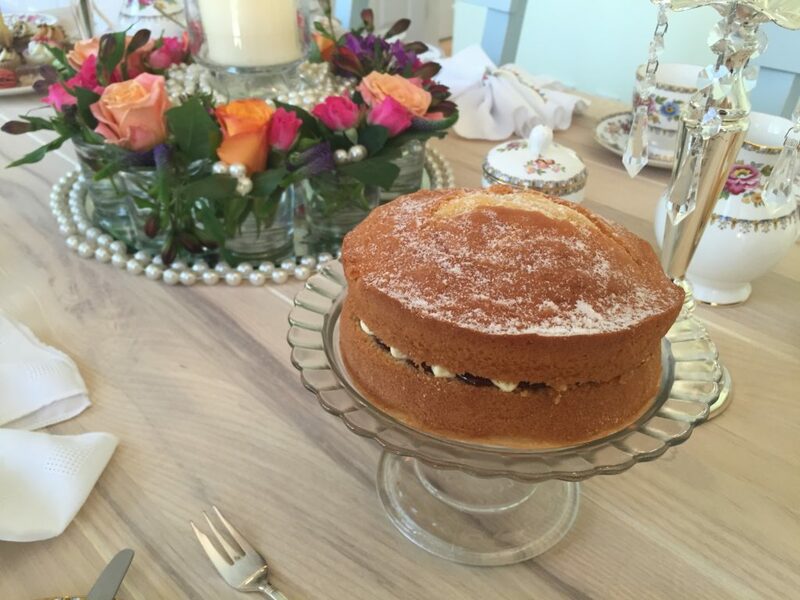 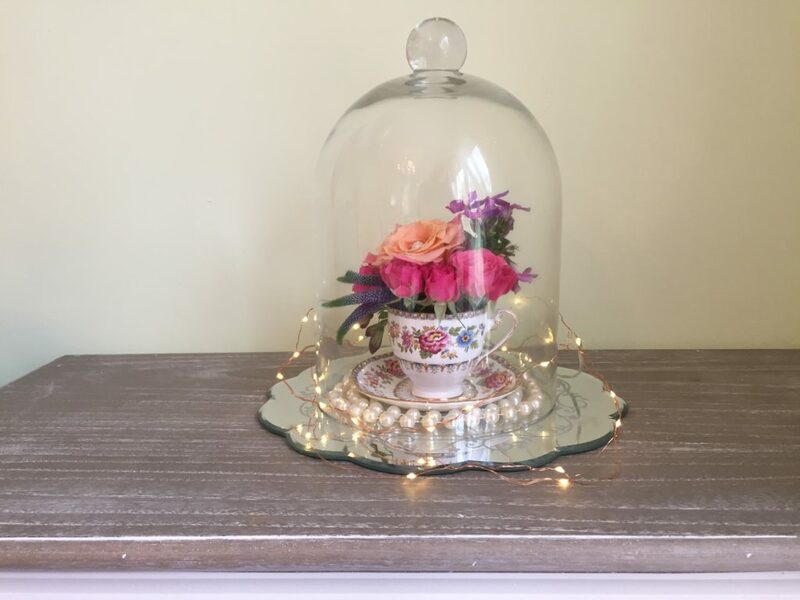 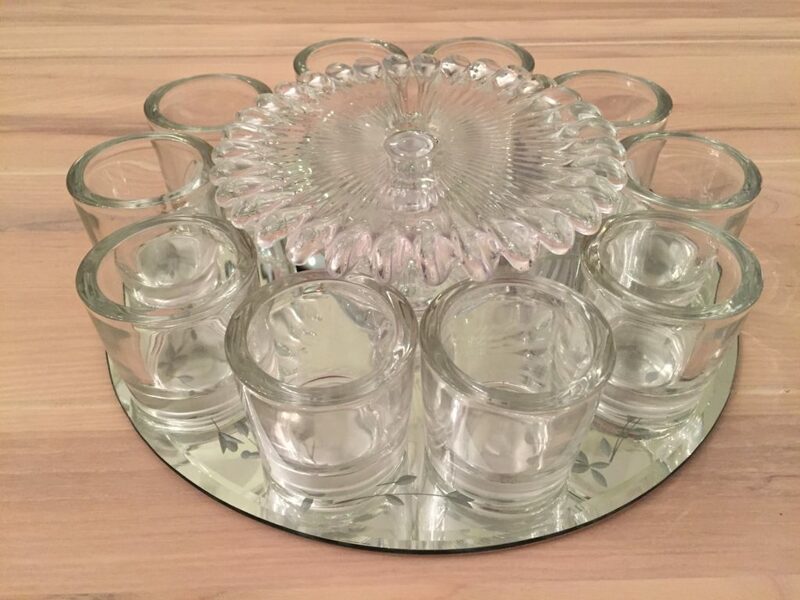 I also put some into a vintage teacup under a glass cloche which looked really pretty and would also make a gorgeous centrepiece. 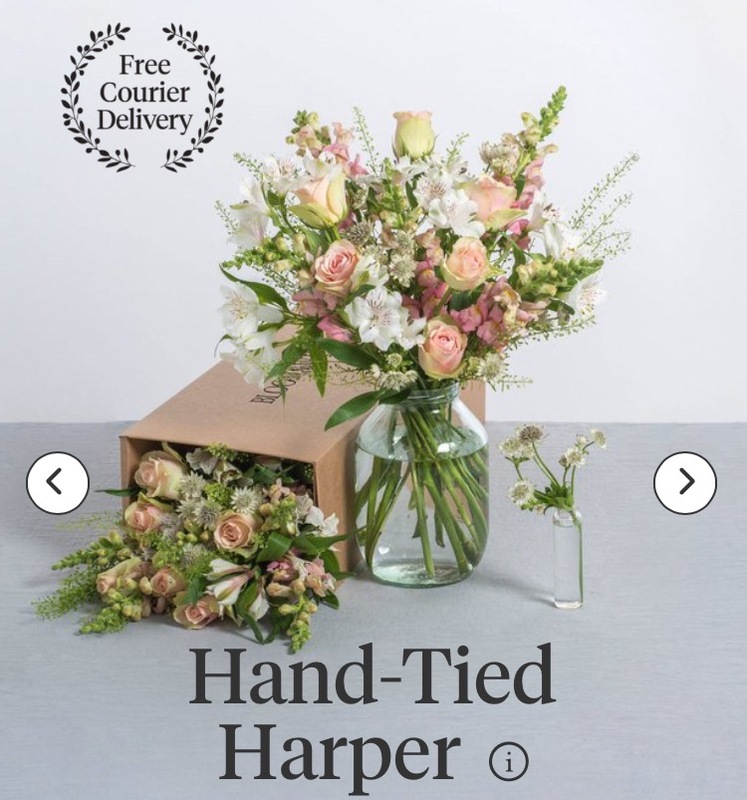 Hope you’ve enjoyed seeing how I styled my gorgeous Anoushka flowers and I now have my eye on the Harper hand tied bouquet if hubby is reading this!